Wow! 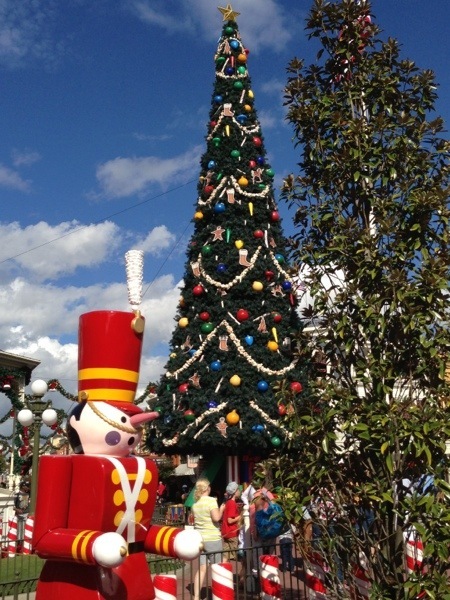 I’ve never been to Disney Park or resort during the holiday season. 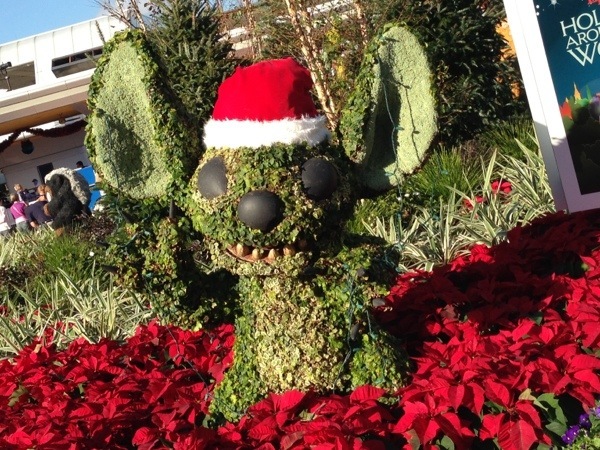 Let me tell you visiting in December is gorgeous as the resort hotels and parks are literally transformed with festive decorations. 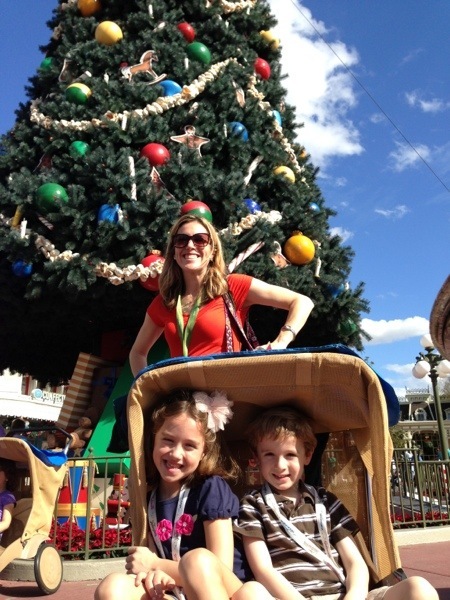 Talk about holiday spirit! 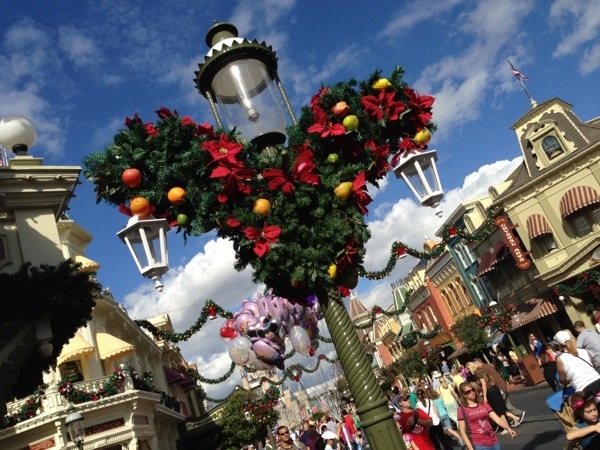 Garland across Main Street and Mickey Mouse wreaths. 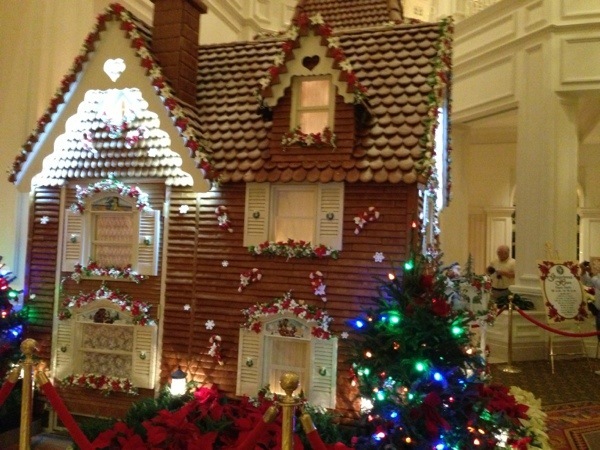 Souvenirs and gifts everywhere with a holiday theme too. Cinderella’s castle tricked put on ice – yes that takes my breath away – it is magnificent! 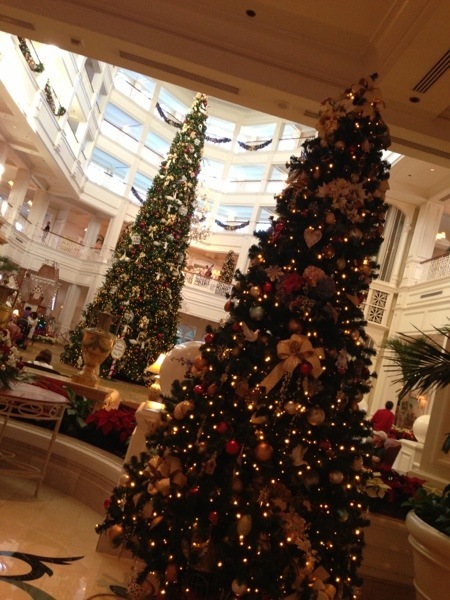 Beyond the parks, the Grand Floridian so far is my fave all out spectacular decorated resort. 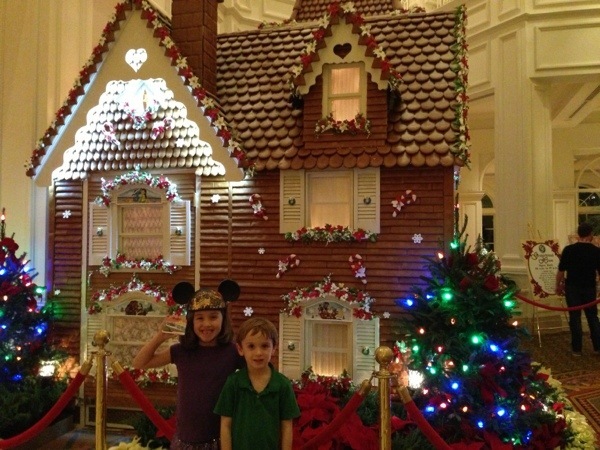 Pointsettas outdoor everywhere and the grand lobby atrium has enormous trees and a life size gingerbread house – baked & built by Grand Floridian staff complete with over 5000 shingles! They even operate it as a little bake shop where you can buy gingerbread treats and hooray for Kyle- gluten free baked goods! Everything looks truly amazing and magical!! !